Direct-to-consumer genetic testing company 23andMe has announced it will offer a new report that provides an assessment of an individual’s risk of developing type 2 diabetes. Development of the report drew upon the data of more than 2.5 million 23andMe customers who consented for their data to be used for research purposes. “Diabetes is a significant health issue in the United States that is expected to impact nearly half of the population. When customers learn about their genetic likelihood of developing type 2 diabetes, we believe there is an opportunity to motivate them to change their lifestyle and ultimately to help them prevent the disease,” said Anne Wojcicki, CEO and co-founder of 23andMe, in a press release. 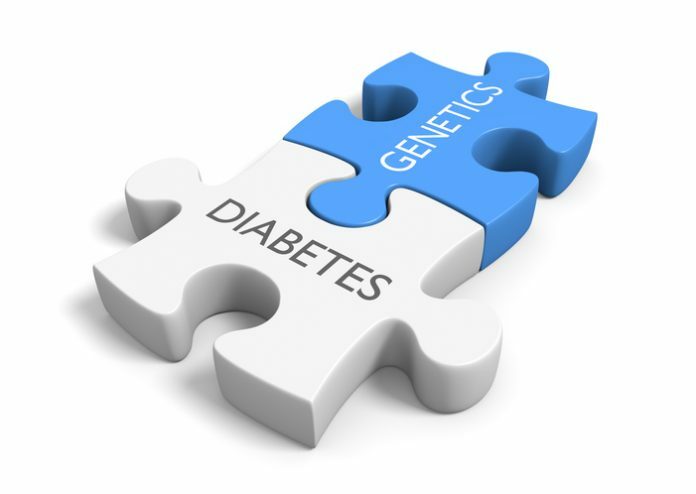 The company developed the polygenic risk score (PRS) for type 2 diabetes by conducting a genome-wide association study (GWAS) that examined more than 1000 genetic variants. The report, which is made available to 23andMe Health+Ancestry Service customers, also provides information about how their age, weight, and lifestyle can influence the development of type 2 diabetes and what actions may prevent, or delay onset of, the disease. The 23andMe Health+Ancestry report is the latest offering from a company transitioning from a simple reporter of genetic findings to a company capable of leveraging its vast library of genetic data for DTC and research purposes alike. 23andMe currently has data from more than 5 million patients in its research platform. It’s the kind of data that has significant implications for drug development and the creation of precision medicine care models. In October 2018, for example, pharma giant GlaxoSmithKline (GSK)made a $300 million equity investment in the company, which intends to leverage the data of 23andMe’s research platform across a range of its therapeutic development programs including Parkinson’s disease. The availability of the new PRS for type 2 diabetes also helps support a partnership the company announced earlier this year with Lark Health, a company that leverages artificial intelligence and patient monitoring for the management of chronic health conditions. Under the collaboration, 23andMe customers can use their genetic data in conjunction with Lark’s platform for its Diabetes Prevention Program. a “Scientific Details” page that summarizes the methodology used to generate the report, screening guidelines recommended by the American Diabetes Association, additional information about non-genetic factors that impact the likelihood of developing type 2 diabetes, and reference. In the discussion section of the white paper, 23andMe notes this first method of reporting type 2 diabetes risk has a number of limitations and areas for improvement. One area would be to incorporate additional modeling methods to the one used, which fit a logistic regression to a selected set of variants and covariates. It also noted the common problem of a lack of diversity in the data and that the model was trained using a GWAS of European ancestry—a gap the company hopes to address in the future across all ethnicities as diverse databases of genetic databases continue to grow rapidly. The company also hopes that over time the PRS can be used for more than just risk assessment.